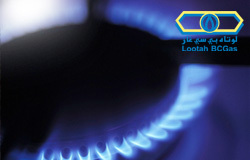 S.S. Lootah International (SSLI) was established as the international business arm of S. S. Lootah Group in 1999, leading to its national, regional and global business growth in the 21st century. S.S. Lootah International’s business philosophy reflects Dubai's dynamism through pioneering and innovative projects and business ventures that deliver tangible economic and environmental results. Besides being a unique business expertise and know-how exchange platform, our international ventures facilitate knowledge creation that addresses pressing issues and global challenges. Our successful alliances, partnerships and joint ventures with leading international companies have enabled us to develop, manage, support and finance some of the most sophisticated projects in the construction, industrial, energy, environmental research and sustainable development sectors across the world. Over the past 10 years, SSLI have invested heavily in building competencies through a number of world-class partnerships that deliver integrated solutions to cater to the increasing demand for energy and environmental concerns. 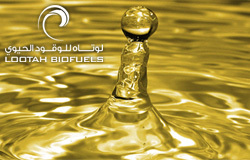 Lootah Biofuels and The Sustainable Media Group (SMG) are our recent green ventures that have pioneered alternative energy use and sustainable living in the UAE. The wholly-owned subsidiaries of SSLI -S.S. Lootah Asia, S.S. Lootah Canada and S.S. Lootah Europe - provide a gateway to the respective markets creating synergies to collaborate globally for sustainable economic growth.